So a few weeks ago we decided to have a family day out to Bridlington. It was the second to last weekend in September, around a year since our last visit. We were hoping that the weather would be just as good as last time, and luckily for us, it was! I, unfortunately, forgot to take my camera, only realising this when we arrived. Therefore I didn’t take many photos from our day in Bridlington. We headed out early, getting petrol and a few snacks along the way, arriving at the Park and Ride at the South Cliff part of Bridlington. 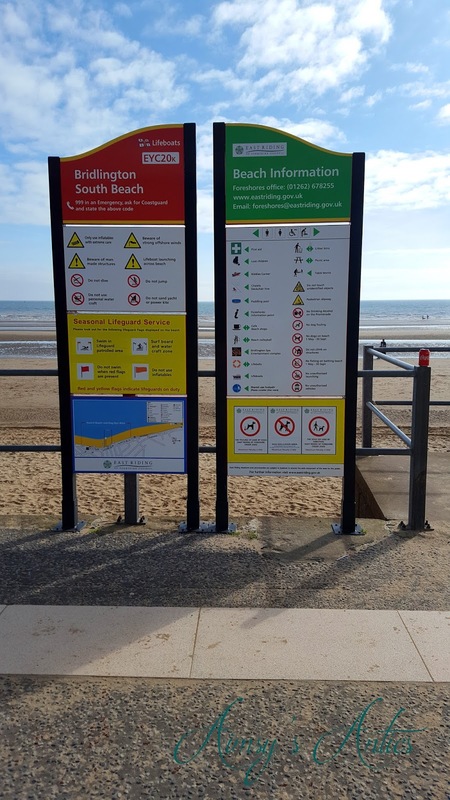 I was recommended this park and ride by a friend, who informed me that you could walk via the beach, use the buses or the land train to reach the town of Bridlington. We chose the latter option, only waiting around 5 minutes for the train to arrive on the little dock. The land train consists of three enclosed cars and runs a short journey down to another part of the beach. It is great for little kids and big kids alike! We were informed that the last train back to the car park was around 4.30p.m, and saw a notice that the weekend we were visiting would be the last of the season. This was due to renovations happening along the route in which the land train takes. I would totally recommend using the Park and Ride, as it is only £4 for the day, and is really easy to get to. Plus you have a few options to get into the main part of town. After making it into town, we decided to have a bit of lunch, then headed off to the beach. The weather was starting to change slightly, but we were lucky and the dark clouds did not shed any rain. The beach we visited is classed as the North Beach and is the closest to town with a large promenade, fun fair and amusements. There are also an array of places to eat, drink and shop. The beach nearer the Park and Ride is classed as South beach. 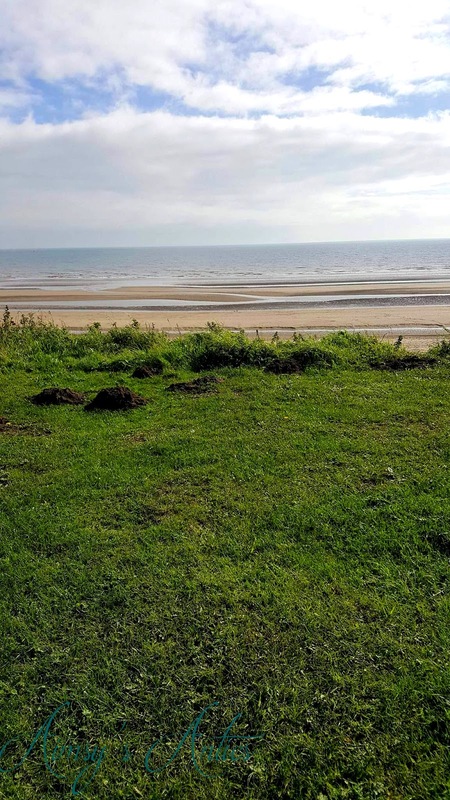 The beaches in Bridlington are well kept and have won a few awards for this. Most of the beach is sandy, however, there are some areas which have more shingles. The part we were on went out for miles, as the sea was at low tide. Walking closer to the sea you can spot lots of mussel shells dotted in the sand. We pitched up near to where you can have a donkey ride, or in our case donkey watch whilst building sandcastles. The place we were sitting was quite near to the newly renovated leisure centre. This beach is brilliant for kids and is perfect sand for making sandcastles, which my niece was even more happy to destroy than build. When we tired of making sandcastles and running up and down the sand we decided to head off for an ice-cream. We came across an ice-cream parlour that sold varies types of ice-creams and sundaes, which I, unfortunately, didn’t photograph, or take the name of (so unreliable!). 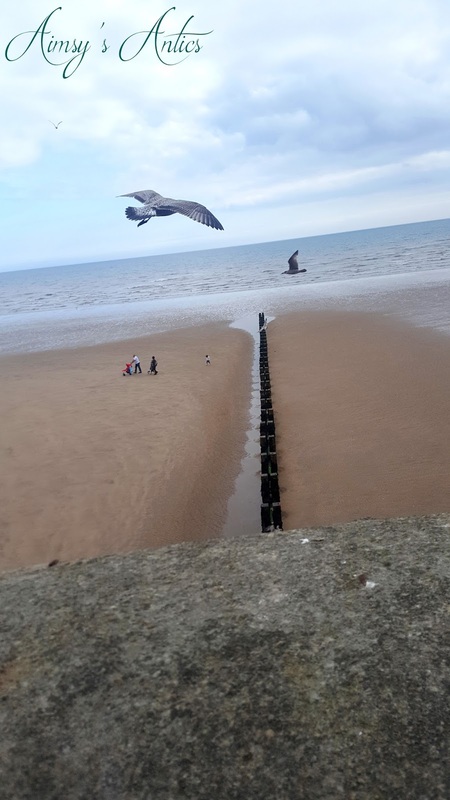 Anyway, after filling up on yummy ice-cream, we thought we would take a walk back along the promenade, looking in the various tourist shops and taking in the surroundings of Bridlington. There are some beautiful looking buildings in the seaside town, some looking quite Georgian in style, and others looking more modern. The weather was starting to turn a little, and the temperatures were dropping (maybe it was the ice-cream we had just eaten) so we decided to make our way back for the land train to the car park. The views from the park and ride are beautiful, over looking the South beach. I noticed that you can hire the chalets that are dotted along the shoreline, and quite reasonably priced. So all in all, Bridlington is a lovely day out (if you are close enough) or a weekend getaway. I think if I was to go for a weekend I would stay nearer the South beach, as this looks like a quieter area of the town, and the views are stunning when overlooking the beach and sea. Have you had a day out to Bridlington? Where is your ideal day out?